Quinoa is pretty easy to cook if you learn the basics by doing some reading. If you guys want me to write a post about how to get fluffy quinoa all the time, every time, just gimme a shout and I’ll do a post on quinoa (different kinds of quinoa too!). So yes. 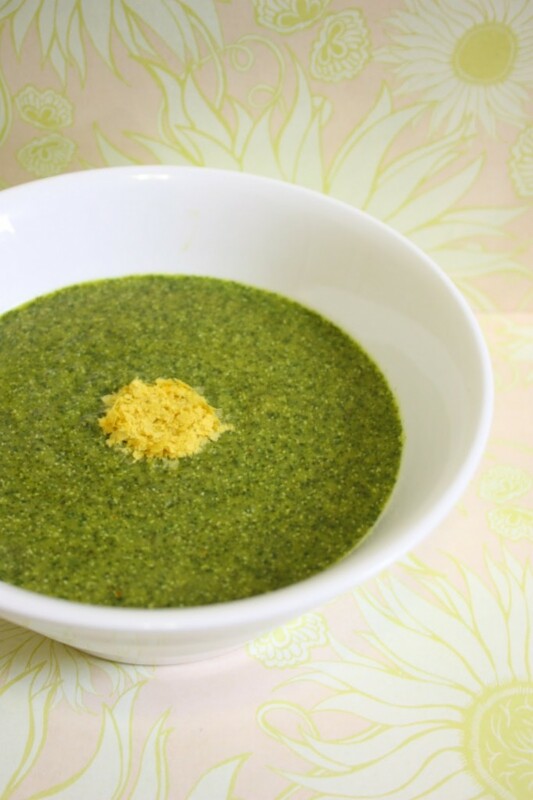 The important thing about this soup is not to cook the spinach and kale for too long. If anything, you’re just barely cooking them so that they wilt down and then you blitz em in your food processor. When you blanch the spinach and kale right, it’ll be this beautiful, bright green. That’s when it’s at its peak deliciousness and healthiness (aside from raw). Kale takes slightly longer to cook than spinach, so put the kale in first, then the spinach. Cook onions for about 3 minutes in olive oil over medium heat. Add garlic and stir until the onions are translucent and garlic is fragrant. Add 5 cups vegetable broth and stir occasionally until you reach a boil. Add quinoa and simmer until quinoa is cooked. Blend with either immersion blender or in an actual blender until smooth. Add lemon juice and stir. Garnish with nutritional flakes and eat! How can I keep this for later use? Altho, I love kale it will take me a long time to eat this much soup. You can try freezing it if you'd like :) This soup is a half batch (compared to the video I made) so it's only about 4 servings. This was really good! I was skeptical at first, but I had some wilted kale to use up. I'm glad I tried it. I made this last night and it was super tasty! I'll have to make a double batch next time.My Fiance saw it and said "that's scary looking" and I said "Yeah, it's called green monster soup. "He loved it, had two bowls one after the other.